Going on a cruise for the first time is very exciting! We are going to share 5 things that you should bring with you on a cruise that will make your vacation easier and more enjoyable. 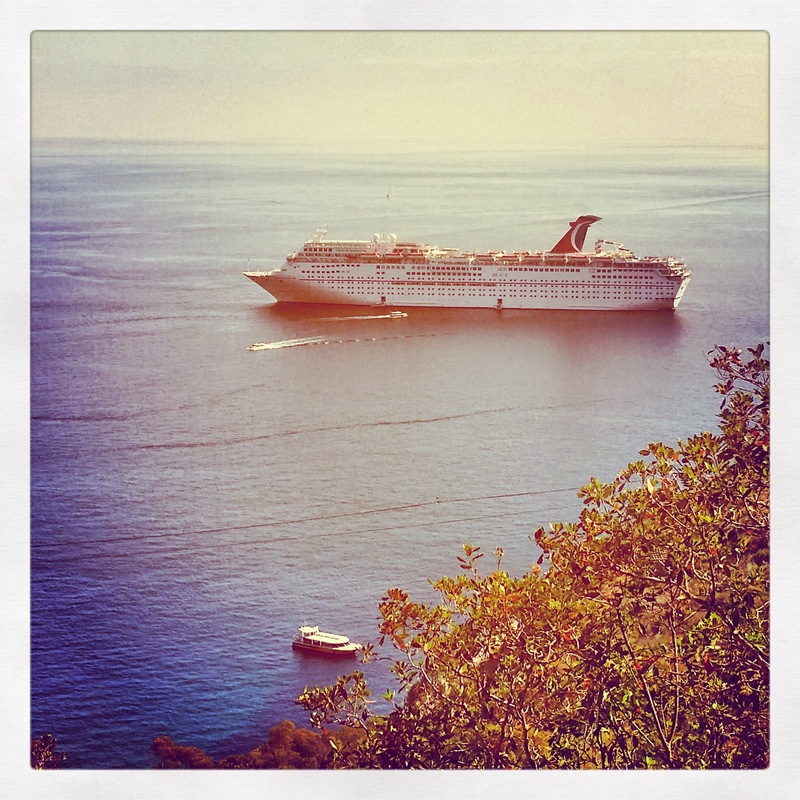 If you have been on a cruise before hopefully these tips will help you as well. This is not for your shoes but for all your toiletries so you have a nice easy place to grab them when you want them. Cruise ship staterooms are not very big and you need as much space as you can get so that is what makes this great! Just put the shoe holder over the bathroom door and all of your stuff like sunblock, shaving cream, and hair clips in the sleeves! Strange you might think but the rooms are made of metal surround and you get a lot of info (paper items) from the cruise staff like your daily schedule of events! To keep your room clean and organized put the paper items you want to look at later up with a magnet and through the others away! Cruise ships supply shampoo and body wash in a dispenser in the shower but no conditioner. If you do not want to have a head full of frizz everyday this is a must! If you are someone who like your hot coffee or tea in the morning but likes to walk around with it this is a must! The cruise lines have the standard coffee cups and if your bring your own you first will have a bigger container and second a lid so it won't splash around and get on you or the floor! Most cruise lines allow one bottle of wine to come on board with you when you embark (call your cruise line) so why not bring your favorite bottle? It will save you some money and if you are like me I like Champagne and usually chill it before sail away and we toast to a great vacation!